$120 Flat Rate Bee Removal is Offered Mon-Fri during normal business hours. Weekends, Holidays, Emergency, and After-Hour Rates Will Vary. We are well trained and highly experienced in the treatment and removal of all varieties of bees, wasps, hornets and other stinging insects. We are also licensed by the State of Arizona to find a safe and effective solution to all of your bee, wasp and honeycomb removal problems. Every service Phoenix Bee Removal provides comes with a professional service guarantee that you can depend on. Every job we perform is unique and we have to approach each one in a safe and responsible manner. Honey bees can become dangerous very fast and we will do everything we can to make sure everyone stays safe and the problem is handled safely and effectively. Our overall goal is to relocate and release feral honey bee colonies. To give them a chance to thrive outside of the city safely away from people and homes. Sometimes, however, this is not possible due to safety concerns and bee extermination is necessary. 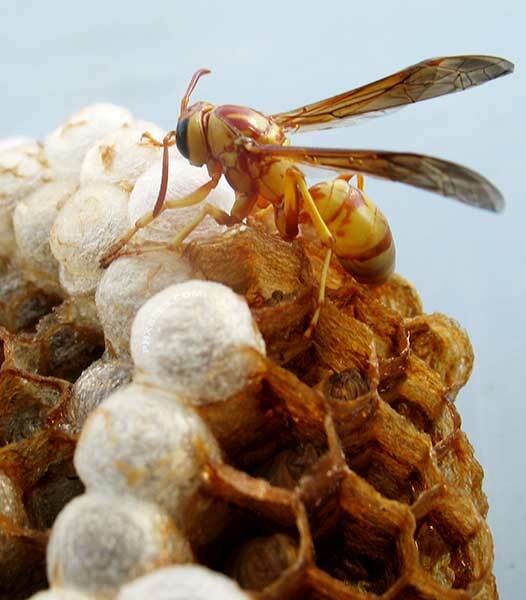 Phoenix Bee Removal will give you the information and education needed to keep you and your loved ones safe. 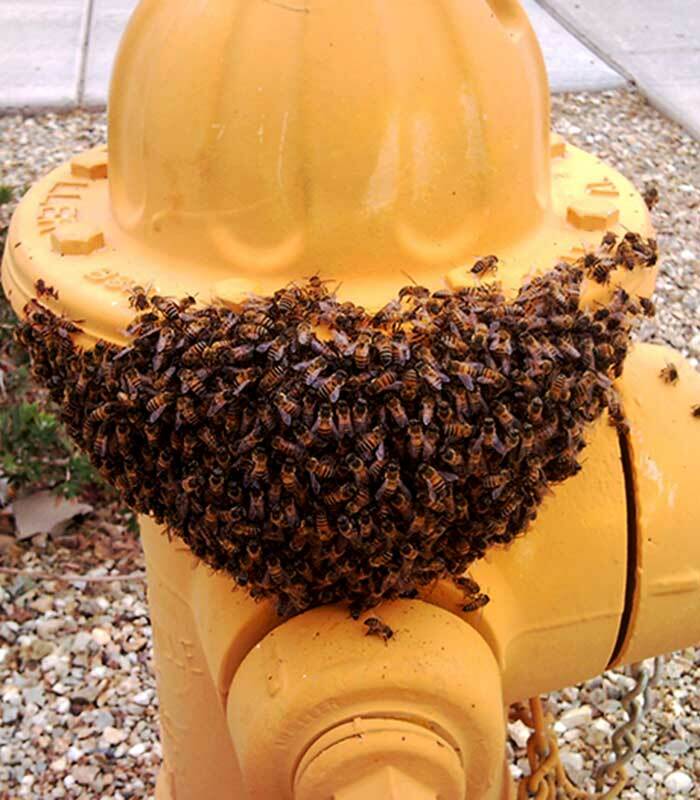 We cover bee removal from Surprise, Peoria, Glendale, and Sun City all the way to Scottsdale, Mesa, Chandler, Gold Canyon and everything in between including Queen Creek and San Tan Valley. The quality of work is what this company was built on and we depend on customer referrals. You are not just another number to us and we prove this with the quality of work we do. 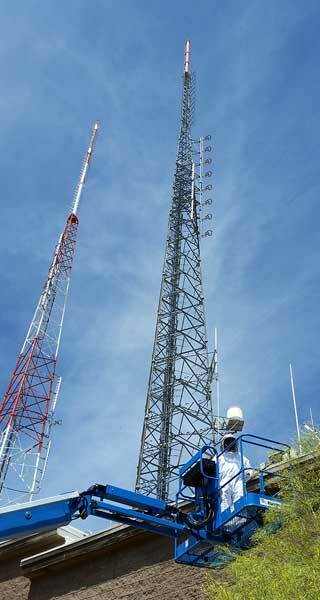 We will be upfront and honest with you over the phone and in most cases, a service isn't even necessary. A short phone consultation on bees can go a long way for us, our customers, and the bees. Our aim is to keep people educated and keep honey bees safe whenever possible. Human safety always comes before bees and with a lot of close quarter living around the valley and a live removal is not always a viable option. A good amount of calls we get are simply a short bee education/consultation. 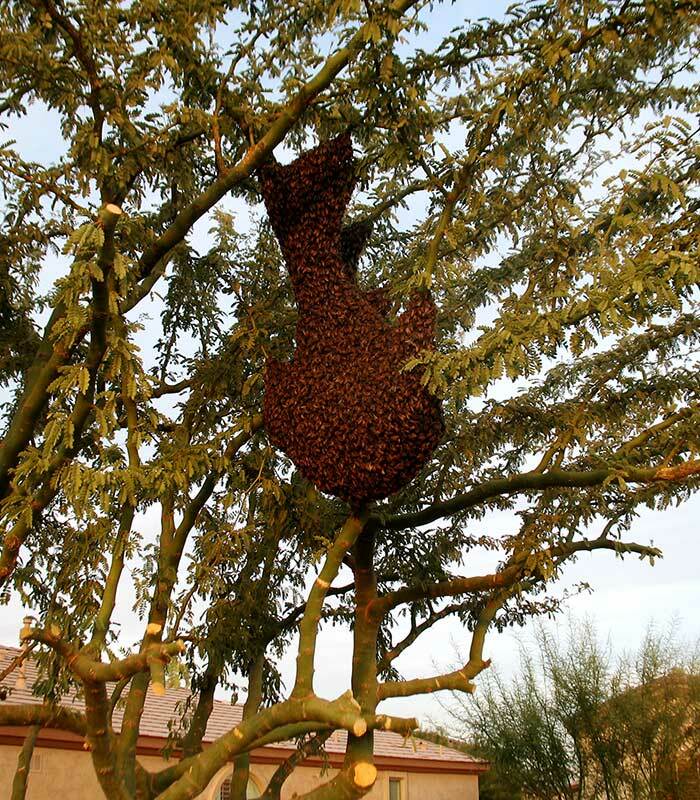 At Phoenix Bee Removal we don't mind letting people know if they just have scout bees or that a swarm in a tree will leave within a few days. A high percentage of calls we get in the spring and early summer months is for migrating bee swarms in trees. These swarms will leave with a day or two and have no intention of attacking anyone or anything. They are simply migrating looking for a new place to call home. You can read more about swarms and the habits of migrating bees in Arizona on our Why Do Bees Swarm? and Honey Bee Spring Activity pages. 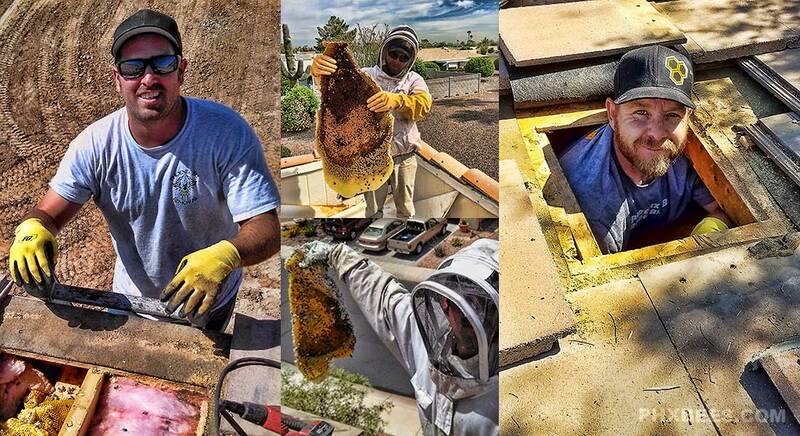 Phoenix Bee Removal is locally owned and operated and is the industries leading bee and honeycomb removal company in the Phoenix Metro Area. We provide a quality bee and honeycomb removal service that is fast, safe, and effective. Plus all of our work guaranteed. 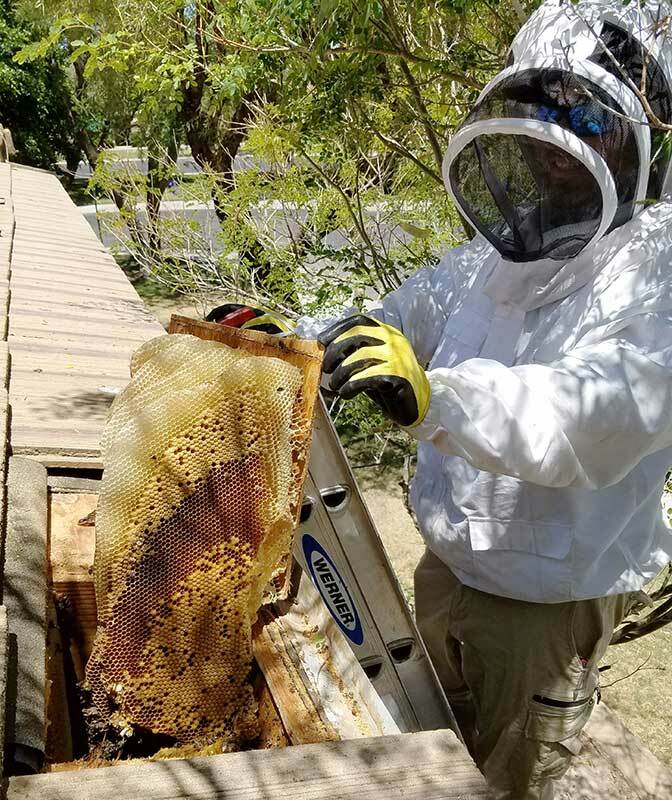 Our goal is to not only provide quality service but to also educate people about feral bee colonies and swarms in Arizona. We are here to provide you the answers to any questions you have about feral bee swarms and colonies on your property. Phoenix Bee Removal LLC. has been in the bee business for over a decade providing quality bee removal and honeycomb/beehive cutouts and repairs. The owners do all the honeycomb cutouts and repairs. We do not sub out any work, we take care of the problem from start to finish to ensure the job is done properly. We specialize in removing and cleaning honeycomb out of roofs and stucco walls. With the latest technology and bee control products and techniques. We ensure a safe and effective service each and every time to keep you and your loved ones safe and worry-free. Depending on the problem and what the bees are getting into. After the bees are treated or have been removed the honeycomb will need to be cut out as well. Also, the area will need to be sealed up properly to keep other feral bee colonies out in the future. Phoenix Bee Removal is equipped with all the latest and greatest in tools and years of experience and knowledge in bee and honeycomb removal and repair. The jobs we encounter are all unique and must be treated in a specific manner to keep everyone and everything safe. 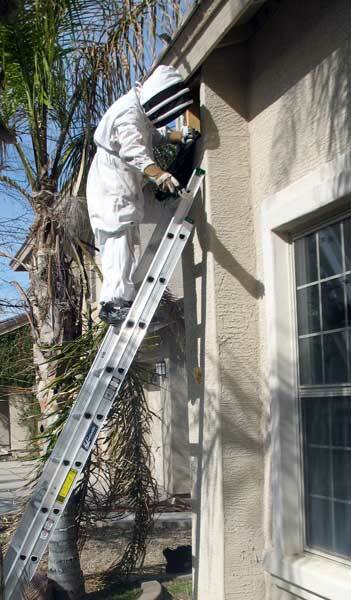 When you hire a bee removal company you will need a company who is always prepared for any situation that may pop up. Honey bees are always surprising us in what the pick to call a home and every year brings new challenges adding to our arsenal of bee removal and control techniques we have. Honey bees in Arizona have a real knack for choosing the absolute worst places (best for them) to safely provide treatments or relocations. This can become tricky and also unsafe and lead to unnecessary injuries if not approached in the appropriate manner. That is why experience and proper tools and equipment are very important to safely and effectively handling honey bees. After the treatment, or removal of the bees. Our skilled technicians will give you their recommendations on what needs to be done. We will always recommend removing the honeycomb if deemed necessary. This will prevent any property damage from melting honey as well as prevent a reoccurring problem. Honey left in walls or attics can cause extreme damage to a home. Also, mold can become a huge problem once honey makes it way into the cracks and crevices of drywall and siding products. Honey melted inside of a home can also attract all types of pests from roaches to ants and also another colony of bees looking for a new home. All the products we use are environmentally friendly and we make sure they are used in a safe and proper manner. An established feral beehive/colony can be dangerous and can quickly get out of hand. Every year we have someone getting hurt improperly treating bees or wasps. A licensed and trained technician is very important for safe bee removal and control. Our technicians will implement safe elimination, removal, extraction techniques to keep you and your family, neighbors, pets, and property safe. Customer satisfaction is our main priority, it's what this company was built on. We will work hard to find a solution to your honey bee problem and always try to exceed in customer service and satisfaction.